Edible gardens, parks, campsites – summer is here! As we soak up the sun in these outdoor spaces, it's important to keep in mind how they came to be so picturesque (and, in the case of edible gardens, delicious). This yumminess and beauty is thanks to the hundreds of species of pollinators that call Toronto home! Pollinators, like bees and butterflies, provide much of the food we eat and landscapes we enjoy through pollination. Bees alone provide every third bite of food that we eat! Plant native: Choose native shrubs, trees and perennial flowers rich in pollen and nectar. Locally grown and pesticide-free are best. Check out the Canadian Wildlife Federation's native plant encyclopedia for inspiration (be sure to select "Native to ON" in the Detailed Search). Mass plantings: Planting multiples of the same plant together in large groupings makes it easier for pollinators to find and collect pollen. 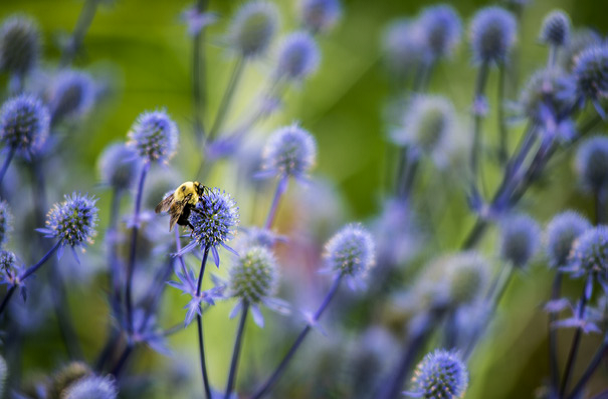 Provide continuous bloom: Pollinators need a continuous source of pollen and nectar, so choose a variety of plants that bloom from spring to fall. Reduce mowing: To avoid disturbing ground-nesting bees, mow your lawn less often and set the blade at the highest level possible. Keep in mind that dandelions and milkweed are excellent food sources for pollinators! Leave dead stems: Some bees hibernate and lay eggs in hollow stems. If you do cut, leave the bottom 8 inches. Bundle the cut stems and leave them in your garden. 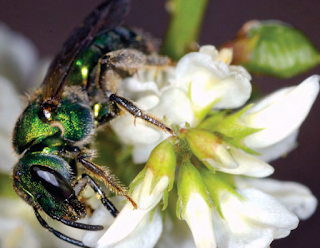 Bare ground: Many native bees build nests in soil, so leave some bare patches and limit your use of mulch. You can learn more about how to help pollinators by having a look at a regionally-specific pollinator guide or by learning more about pollinator-friendly gardening. 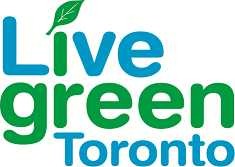 Toronto's bees and other pollinators are critical in maintaining a beautiful, sustainable, and biodiverse city. Let's thank them by protecting them for years to come.